The best of 3 performances in the early 70ï¿½s - the peak of Campbell's career. 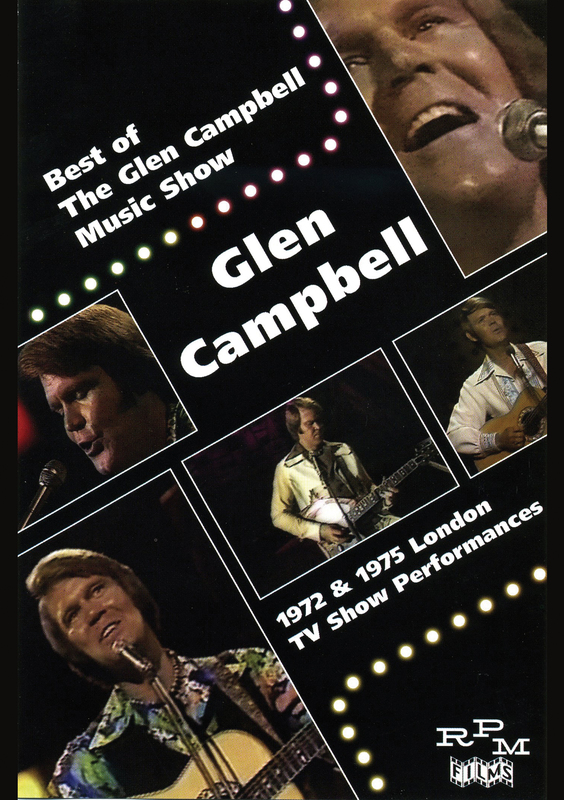 This DVD represents the best performances from a string of concerts filmed by Ember in the early 70s - the peak of Campbell's career. The first was a recording of a show at The Talk Of The Town in '72, then through '75 Campbell six TV shows broadcast by the BBC. Backed by his then regular band and the BBC Concert Orchestra, Campbell performed live his greatest hits plus other favorite songs of his choosing. The performances are brilliant, the backing very tight, the sound recording excellent, and all filmed in gloriously gaudy 1970s color schemes. This includes his best known hits and interesting covers. An interesting collection of live performances in Britain spliced together as though it were an actual concert. â€¦Best performances from a string of concerts in the early 70â€™s.